“The percentage of students who pass the General Certificate of Education (GCE) exams in the northeast is lower than in the other parts of the country. Among the 30 Educational Districts in Sri Lanka, the percentage was lowest in Jaffna until recently. However, the district has now managed to move up to the 28th-27th place ”, said Mr. S. Mahalingam, Provincial Director of Education addressing the annual prize giving function of the Vincent Girl’s High School in Batticaloa Tuesday. 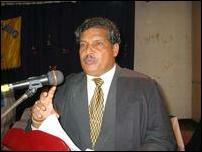 Students in Sri Lanka have to qualify the GCE Ordinary and Advanced Level exams to enter universities. Addressing the function, Mr. E. Kouslalyan, the head of the LTTE’s political division for the Batticaloa Ampara district, said: “Education is greatly valued in Tamil culture. Our traditions inculcate dedication and respect for learning. There is an insidious effort today to destroy this heritage. Some private TV stations are telecasting crass programs and soap operas aimed at ruining our children’s commitment to educational and our cultural values. We, the Liberation Tigers, give the foremost place to education in all our activities and programs”. “Intellectuals and educationist should take a keen interest to prevent the destruction of our heritage of learning with a view to building a better society in the future. Our students and their should also show greater commitment to education and learning”, Mr. Kousalyan said. Tamil educationists lament that growing addition to base TV programs and soaps among middle classes, particularly in the Sri Lanka army controlled parts of the northeast and in Colombo, is seriously impeding children’s interest in reading and learning at home. The Tamil TV station, ‘Shakthi TV’, has come in for particular criticism for telecasting a wide range of Tamil feature films, soap operas and entertainment programs imported from South India during after school hours. 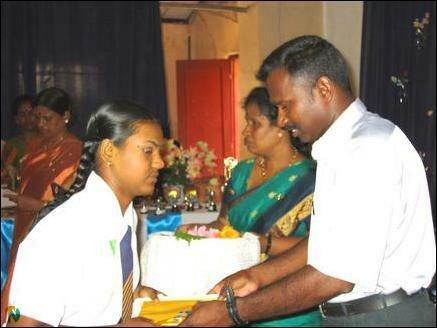 The principal of the school, Ms. Subha Chakaravarthy, presided at the prize giving. “Great strides have been made in the fields of education and economy in many parts of the world. We have to bring our systems of learning on par with such advances. This cannot be done by institutional means alone. Parents too have to make important contributions to help school and the system of education to make such progress”, said Mr. Mahalingam. 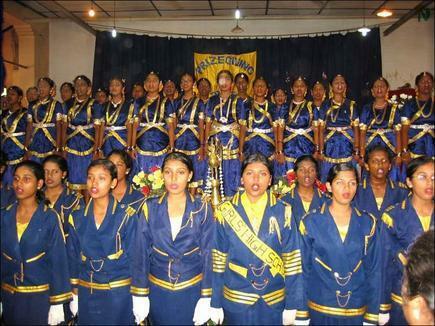 The Vincent Girl’s High School in Batticaloa town was founded in 1820.